Sometimes you might need to skip time in Red Dead Redemption 2, and this guide will show you how to do just that. There are going to be plenty of times over the course of Red Dead Redemption 2 where you'll want to skip forward time a little bit, especially since it can get pretty hard to see in the dead of night. In this guide to Rockstar's wild west epic, we'll be walking you through how to skip time in Red Dead Redemption 2, so you can turn day to night, and vice versa. If you need anything else at all relating to the wild west prequel, head over to our Red Dead Redemption 2 guides hub. Here you can find a complete beginner’s guide to the game, as well as essential tips and tricks, and much more. Firstly, there’s one main way to change time in Red Dead Redemption 2: Sleep. The easiest method of sleeping is to simply head to Arthur’s wagon back at the base camp, which is marked by the tent symbol on the mini map, and interact with the bed by holding Y/triangle. When you go to sleep, it doesn't have to just be from dusk until dawn. You can sleep until morning, noon, evening, or night, no matter when you first interact with the bed. Even if you’re 15 hours away from the morning, there’s nothing stopping you from sleeping until then. But what if you’re out in the wild, and you want to advance time when you’re far away from your camp? 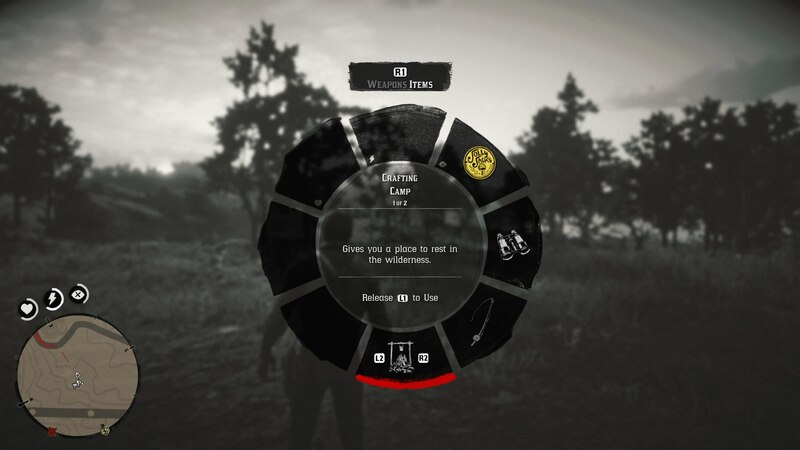 Instead, you can bring up the item wheel by holding down the left bumper, and tab across to the ‘Horse’ menu. From here, select the bottom middle item, and scroll across using the right trigger until you get to the ‘Campfire’ option. Arthur will finish laying out his camp in a matter of seconds (impressive), and after this, you can sleep at the camp by holding down Y/triangle. You’ll have the same options as if you were sleeping back at base camp, so you can sleep until morning, noon, evening, or night. This is incredibly useful for if you’ve missed the opening hours of a shop, or if a camp member like Pearson isn’t at his station during the night. Red Dead Redemption 2 is pretty much a wild west simulation, so at certain times of the day stores and other facilities aren't open. Advancing time happens naturally as you play, but if you really want to get into a shop, using one of the above techniques is your best option. Now that we’re all done with this guide on how to advance time in Red Dead Redemption 2, you might want to check out some of our other coverage of the game. You can head over to our Red Dead Redemption Shacks guide, or our Red Dead Redemption 2 Poisonous Trail treasure guide for more.